Let’s say you want to identify the mold on that leftover pizza or do a very discreet paternity test. You’re going to need DNA. A lot of it. Labs take the few molecules from a cheek swab and replicate them with a PCR machine until there are billions. But those machines cost $3,000 and up. 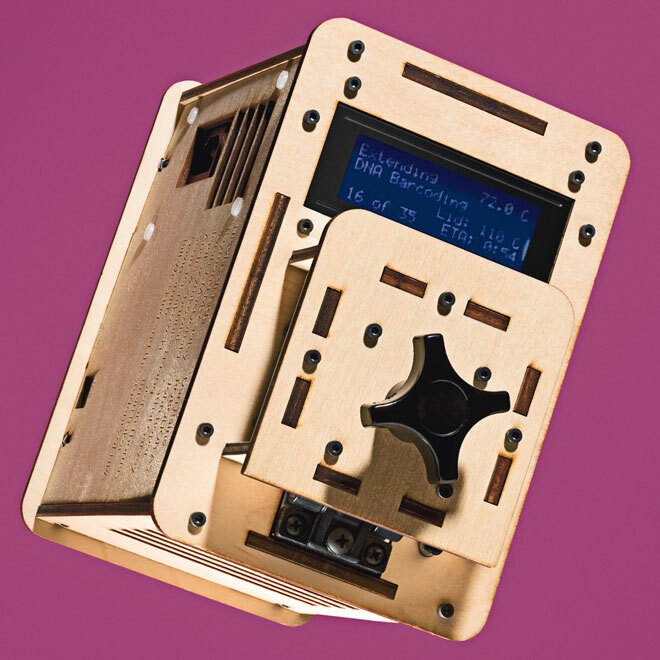 The new OpenPCR box does the same for the cost of an iPad, and it’s about as easy to use. Place a little bit of your sample into a 0.2-ml plastic tube along with a few microliters of PCR mix, drop the tube into one of the dimples on top of the box, and enter the times and temperatures on the desktop control software. A few hours and dozens of heating and cooling cycles later, you’ve got enough DNA for sorting and sequencing. You do have a sequencing machine, right? WIRED Excellent documentation. Coffeemaker footprint. Works with Windows, Mac, or Linux machines. TIRED Assembly takes four hours. Pedestrian control software. No optics for monitoring reactions as they progress.